Plovdiv is the second largest city in Bulgaria, situated in the southern part of the Plovdiv Plain on the two banks of the Maritsa River. The city has historically developed on seven syenite hills, some of which are 250 m (820.21 ft) high. Because of these seven hills, Plovdiv is often referred to in Bulgaria as "The City of the Seven Hills". Its unique location on these ancient crossroads has stimulated strong cultural and political influences from East and West civilizations, and yet maintained its unique cultural identity. 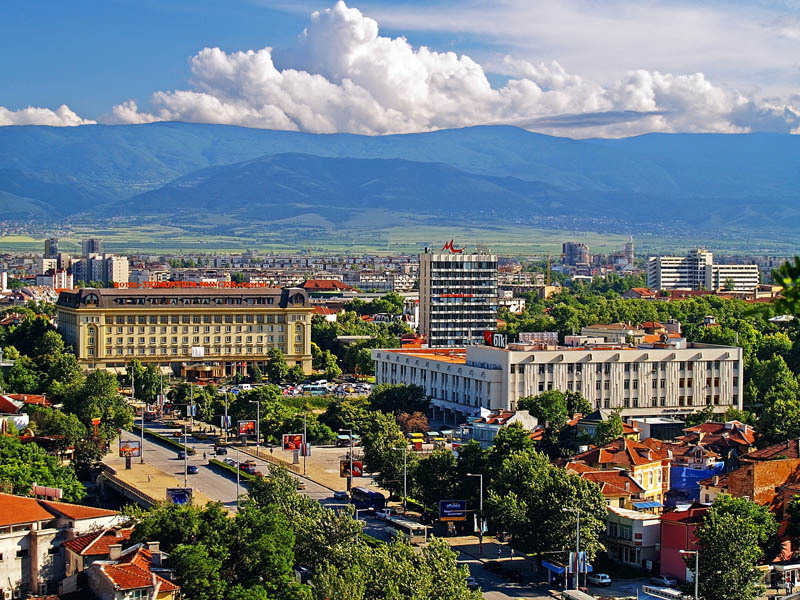 Being older than most of the oldest towns like Rome, Athens, Carthage or Constantinople, an almost contemporary of Troy, Plovdiv is a town built upon layers of towns and a culture developed upon layers of cultures. Plovdiv is a picturesque town, with many parks and gardens, museums and archaeological monuments. Its old part, called the Old Town, with houses from the National Revival period (18-19th century), is an imposing open-air museum situated on the three hills of the ancient Trimontium. One of the most remarkable sights of the town, the Ancient Theatre (a well-preserved Roman theatre), Roman odeon, Roman Stadium, the archaeological complex Eirene and others. We offer you to visit the amazing Old Plovdiv, built in IV century before Christ from the King Philip of Macedonia; Visit the Ethnographical museum, the St. Constantine and Elena Church, the Antique Theatre and the Roman Stadium. Next is visit of Bachkovo Monastery. Founded in 11-th century by two Georgian brothers, this is the second largest Bulgarian Monastery after the Rila Monastery. There are extremely valuable frescos of biblical subjects from 16-th century in the monastery. The Icon of Virgin Mary, the patron saint of the monastery, is considered as miraculous. In the end - Wine tasting in "Todoroff" boutique wine-cellar, located not far from Plovdiv. This cellar produces small consignments of high quality wine, made from the typical Bulgarian grape sort "Mavrud.